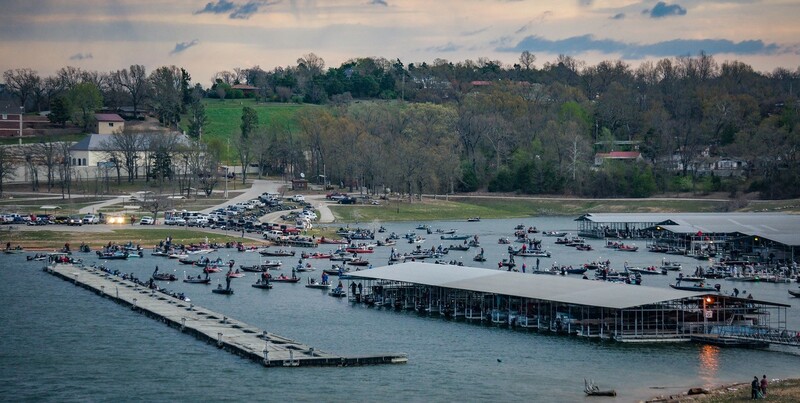 MOUNTAIN HOME, AR (February 4, 2019) – Bass Cat Boats is pleased to announce that its 32nd Annual Owner’s Invitational will take place on April 25 – 27 at Beaver Lake in North West Arkansas. The 2019 Bass Cat Owners Invitational will be hosted by the Rogers – Lowell Chamber of Commerce along with the Beaver Lake USACE. Long time sponsors Minn Kota, Humminbird, Mercury, Strike King, Lew’s and many others will also support this year’s event. Beaver Lake was where the original Bassmaster event was held. Bass Cat chose North West Arkansas from the beauty of the Ozarks. Beaver Lake is located in between Prairie Creek and Rogers, AR. The Grand Prize will be a random drawing. Bass Cat is giving away a Mercury powered, premium model fully rigged with Humminbird and Minn Kota accessories. All participants are automatically entered. The winning team will be rewarded with a brand-new Bass Cat Margay and trailer. The total value of the cash and prizes will exceed a 150% payback including several categories from which to win. This is a family event and we encourage all to participate. There are plenty of off water activities to do including, the Crystal Bridges Museum of American Art, Eureka Spring, golf at Belle Vista, and many more. Registration will open at the end of February. It costs $150 to enter and compete at this year’s Owner’s Invitational. More information on the 32nd Annual Owner’s Invitational will be released soon on Bass Cat’s website, www.basscat.com. About Bass Cat: Bass Cat Boats, owned by Correct Craft, manufactures the industry’s premier bass fishing boats from its headquarters in Mountain Home, Arkansas. Family operated since its founding in 1971, Bass Cat is the longest continuously operating tournament bass boat company in the United States. For more information visit www.basscat.com.